Fred Miller has served the Downriver community now going on 52 years as one of the most integral parts of PNC Bank’s Roar on the River. When asked how long he’s been a part of Roar on the River and what other jobs he’s done, Miller can vividly recall much of it. For all of those 52 years, Miller has headed up all things having to do with the boat races, as he is the Director of Boat Race Operations. Miller can tell you all about the differences between kneel down boats, inflatable boats and tunnel boats. Roar on the River is the only race in Michigan that runs all three categories. Miller also remembers a time when boat racing was not as safe and did not have as many safety measures as it does now. Boats go much faster today as well, Miller remembers. When Miller first started racing, the fastest boat went around 60 mph. Now they can get up to 120 mph in the SST 200 class that runs in Trenton. Miller has been with Roar on the River for most of its lengthy 65-year run, as it started back in 1951. Now most people will think to go to Elizabeth Park in Trenton to see the races, but Miller was around back when the scenery was a bit different. 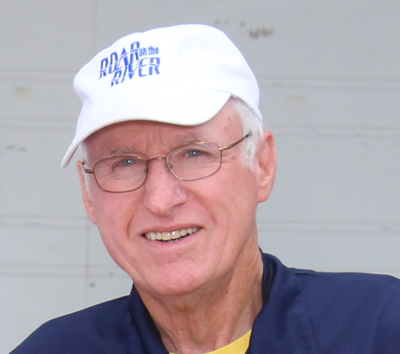 Miller has not only been with Roar on the River throughout its extensive history, but he has also stayed dedicated to the races. 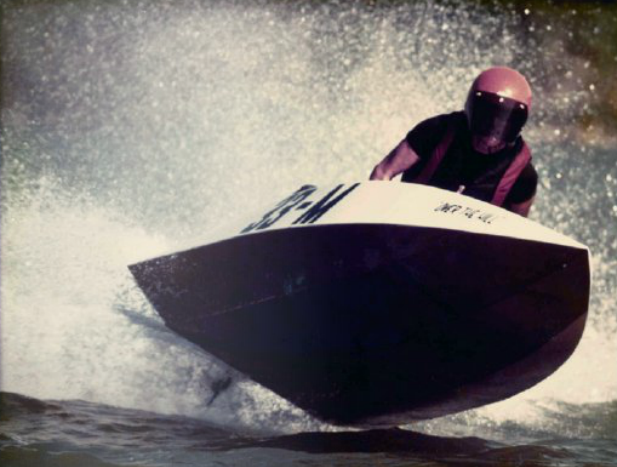 Miller had lived in the Trenton area for the first 46 years his life, but left in 1986 to take over as Manager of High Performance and Racing for Outboard Marine Corp (OMC), maker of the Evinrude and Johnson Outboards, located in Waukegan, IL. This job required him to promote their engines and racing programs against their arch enemy, Mercury Marine. One would assume that Miller would give up his title as Director of the Boat Races seeing as he now lived hours away, but instead Miller visits Downriver several times a year in order to get things settled for that year’s races. This passion for boat racing has led to many awards and prestige. One of his more recent accolades has been the Charles D. Strang Ultimate Service Award, an award that is the highest honor in the American Power Boat Association. Miller’s dedication and love of boat racing has kept him coming back to help with Roar on the River year after year, and at 77, there seems to be no plans of him stopping.